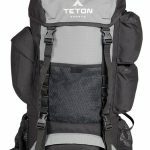 The Teton Sports Scout 3400 Internal Frame Backpack can best be described as a lightweight backpack that is capable of holding a reasonable amount of gear in both its sleeping bag compartment and main top-loading compartment. 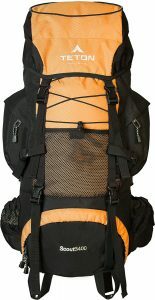 The Teton Sports Scout 3400 was formerly sold under the name of Wilderness 55, and it is the ideal backpack for light backpackers or children. 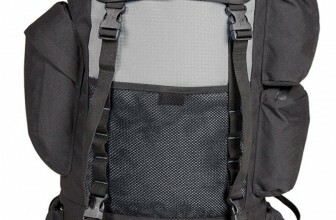 Some of the features that you will find on the Teton Sports Scout 3400 include: a sleeping bag compartment; main top –loading compartment; a top pocket (zippered) that provides a lot of room for storing small accessories; front and side mesh pockets; two side pockets (zippered); padded water bladder pocket; a rain fly and rain fly compartment; shoulder straps (adjustable height); and is hydration system ready. The Teton Sports Scout 3400 Internal Frame Backpack is capable of holding the load’s weight close to your body; as such, it makes it a lot easier for you to maintain your balance on terrains that are uneven. Additionally, this backpack provides support and stiffness; however, it is not entirely rigid, which provides you with more flexibility when you are engaging in active sports. Main Compartment – The primary compartment is top-loading, measures 3400 cubic inches, and also includes a sleeping bag compartment. Rain Fly – There is a rain fly that comes with this backpack, which will help to keep all your gear dry during the wet times. Additional Pockets – The Teton Sports Scout 3400 features two side pockets (zippered) that are ideal for storing small items that you may need while you are hiking. There are also front and side mesh pockets, in addition to a top pocket (zippered) that offers a lot of space. 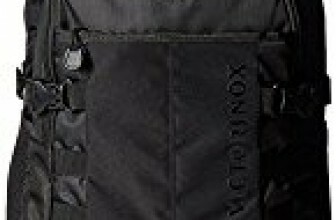 Additionally, the backpack has a pocket where you will be able to keep your padded water bladder. Well Fitted – This backpack features dual aluminum stays that are capable of adjusting to the shape of your back, in addition to waist, lumbar and contoured shoulder pads. 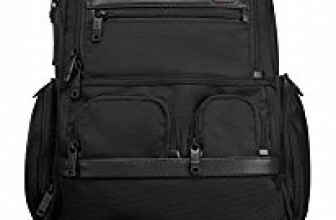 The shoulder straps are of adjustable height, which gives the backpack the ability to accommodate to various lengths of torso. Even after you have had an entire day of hiking, you will find that this backpack will not place any unnecessary stress on your shoulders or back, because it is lightweight. If you search the Internet for Teton Sports Scout 3400 reviews, you will find that a majority of customers have nothing but good things to say about this backpack. 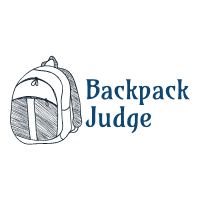 Many of the customers believe that this backpack has an overall good quality, and they are pleased that it has additional pockets where they can store and access their small items while they are hiking. A number of customers also believe that the Teton Sports Scout 3400 is ideal for both novice and expert hikers, and it is also a nice size backpack for children hikers. If you are planning a planning a hiking trip for about two or three days and are in search of the perfect backpack, you need to consider purchasing the Teton Sports Scout 3400. Not only is this backpack lightweight and compact, but it also places no unnecessary stress on your shoulders or back. 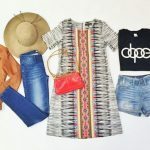 Furthermore, you will find that this backpack is capable of adjusting to any length torso; as such, you will not have a hard time travelling with it, whether you are tall or whether you are short. The Scout 3400 is also very affordable.